Combine brown sugar, rice vinegar, fish sauce, chili paste, and garlic in a large bowl. Add pork and marinate for at least 30 minutes or up to 6 hours. Light a grill or preheat broiler. Thread pork on skewers reserving the marinade. Put marinade in a small saucepan and bring to a boil over high heat. Boil 1 minute. Cool slightly. 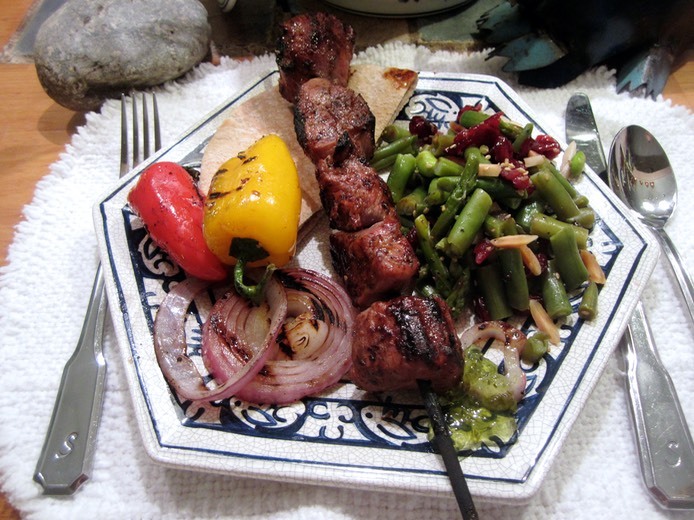 Grill or broil pork skewers brushing with reserved marinade until desired degree of doneness. Serve with The Accidental Salad if desired, from Sallie’s Kitchen Corner Recipes.